If you’ve been searching for the ultimate destination wedding checklist, look no further! Chances are you’re probably overwhelmed by the numerous tasks that lie ahead of you now that you’ve decided to take the plunge and tie the knot away from home. 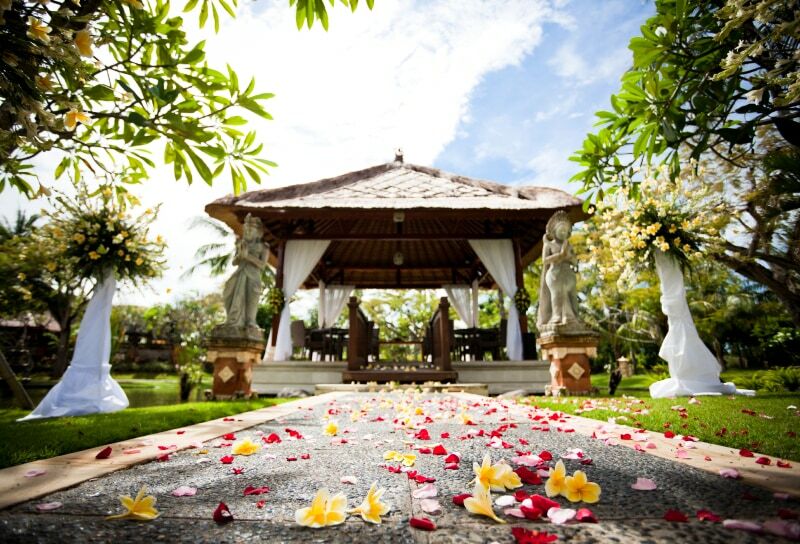 Not only are you planning a wedding, you’re also planning a vacation for you and your guests as well as a honeymoon. It can be really overwhelming and things can quickly fall through the cracks if you’re not organized. There’s so much to do, but where do you start? 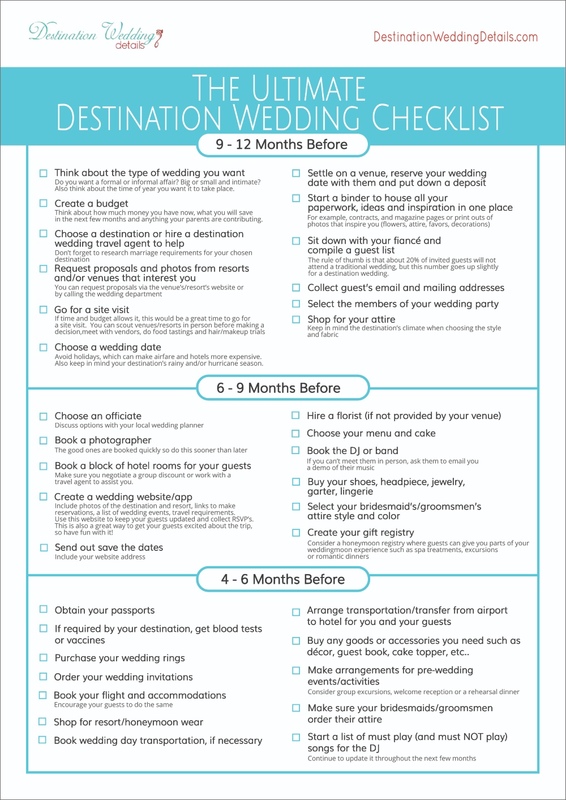 Use this destination wedding checklist to keep you organized, right on schedule and most of all, sane!! You can even download it here for free. Do a site visit, if time and budget allow for it. You can scout venues/resorts in person before making a decision, meet with vendors, do food tastings, hair and makeup trials, etc. Start a binder to store all your paperwork, ideas and inspiration in one place. For example, contracts, and magazine pages or printouts of photos that inspire you (flowers, attire, favors, decorations). Buy any goods or accessories you need such as décor, guest book, cake topper, etc.. Confirm details with all your vendors (Floral arrangements, photography package, DJ song list, menus) and get everything in writing! Start packing and making arrangements to have family members take some of the items such as favors/welcome bag in their luggage. This may seem early, but with so many important items to take you don’t want to leave it for the last minute. See more destination wedding packing tips here. Have one of your bridesmaids deliver your gift to your fiancé while he gets ready. Give yourself a pat on the back for checking off everything on this massive destination wedding checklist….then RELAX and have fun!! 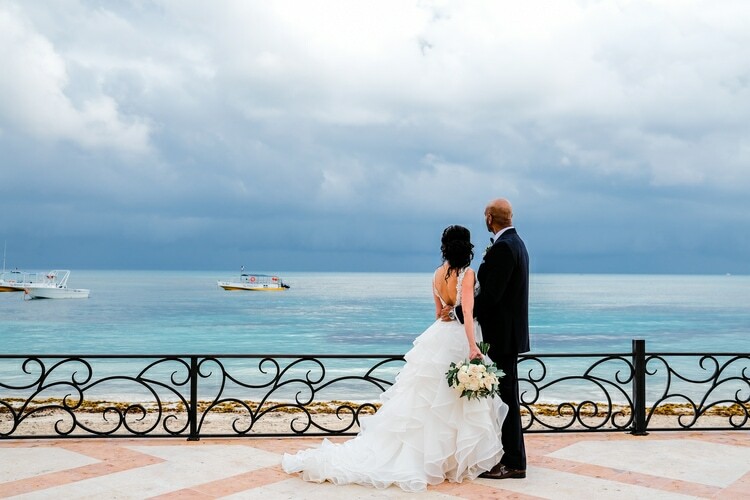 Fill out the form below to get personalized alerts sent right to your email reminding you of everything you need for your destination wedding. The checklist will synch up with your wedding date so you’ll receive customized emails guiding you throughout the entire planning process. You’ll receive an email with a list of to-do’s when you’re 9-12 months away from your destination wedding date, another email when you’re 4-6 months, etc.. all the way up to the big day. I’ll make sure you don’t forget a thing on your to-do list. Each checklist to-do will include super helpful links to destination wedding articles with tips, photos and some awesome ideas to help inspire you. Even better, we’ll send you some exclusive discount codes and freebies for everything from the save-the-dates to the thank you cards! 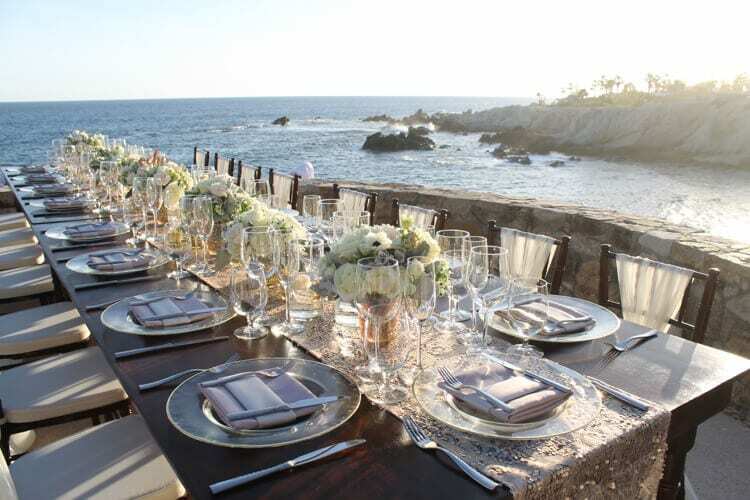 Fill out the info below to start getting your personalized destination wedding checklist! Are Free Destination Wedding Packages Really… FREE? I liked how you broke this checklist down to the last weeks before the wedding. Very helpful. Thanks.